I don't have the patience for cross-stitch for some reason, although I love to do hand-embroidery on and off. My mom loves cross-stitch and has this fantastic technique where she likes to stitch right onto the dress fabric! Basically, she bastes the canvas on to the dress or shirt or skirt on which she wants the cross-stitch, then, does the cross stitch as usual on this canvas, using interfacing as needed depending on the weight of the fabric. When done, she very carefully removes the waste canvas, thread by thread. This is a zen-like activity that she enjoys more than the cross-stitching itself, sometimes. 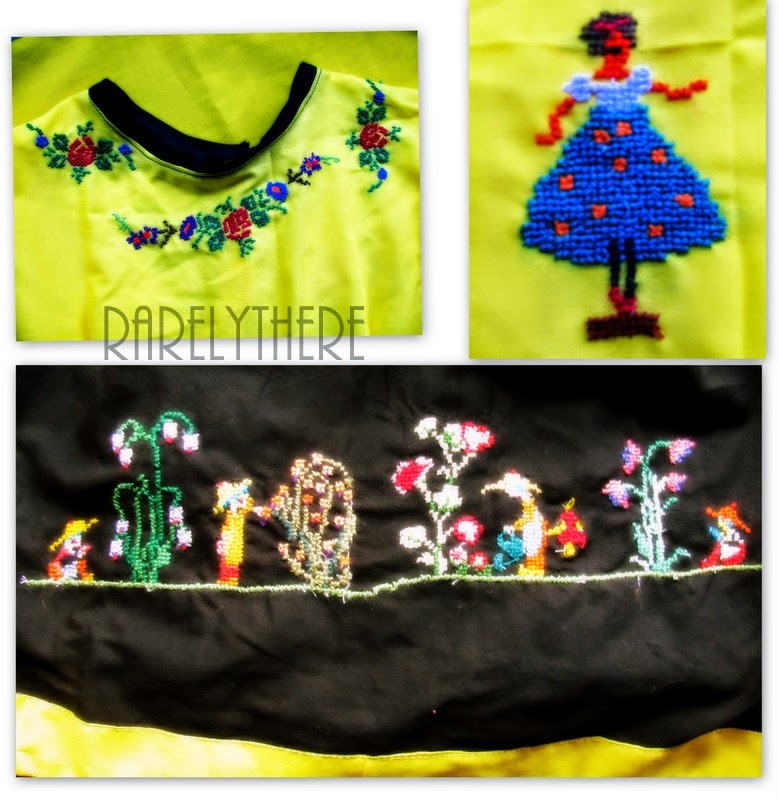 Anyway, a while back, for her grand-daughter's birthday, my mom had sewed this yellow+black dress and added cross-stitch to the neckline, chest, and skirt-front that is just too precious. Now that my daughter is outgrowing it, I am thinking of ways to recycle it so I can still use the precious work on another outfit and hopefully keep carrying it forward for as long as the fabric and stitches will last.